We are almost at 100 blog entries - this would be great to celebrate in style! I came across a new kickstarter.com campaign by a US based team aimed at bringing the masses a smart shaker that pairs with your mobile phone to help you mix perfect cocktails every time - no scale, measuring cup or skills needed; just pour shake and serve! It will come with an application for iOS and android (based on the Drinkstagram application) that will communicate with the shaker over Bluetooth Low Energy monitoring the sensors in the device to know when enough of an ingredient has been entered. The application already has 110 recipes to start with with more planned in the future - if you are not sure you want something from the basic list there is a special creator mode called "the cocktail beamer" that will mix things up for you and make you a bartending sensation! 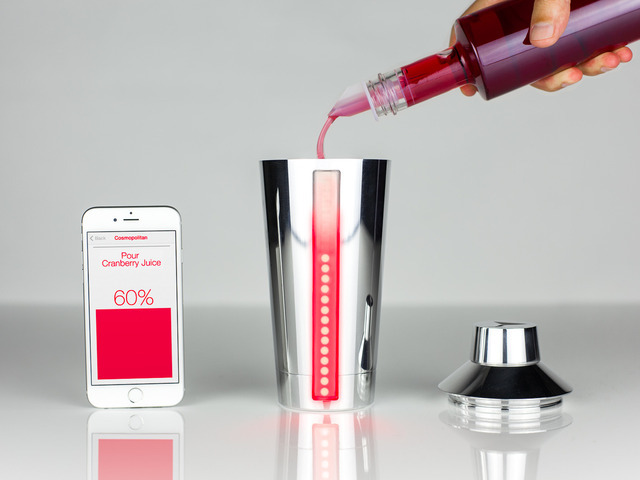 You never know - you may create the next big trendy cocktail and thank technology for it!